Hotel mic, ideal pentru recreere terapeutica, este situat langa renumitele bai de namol. 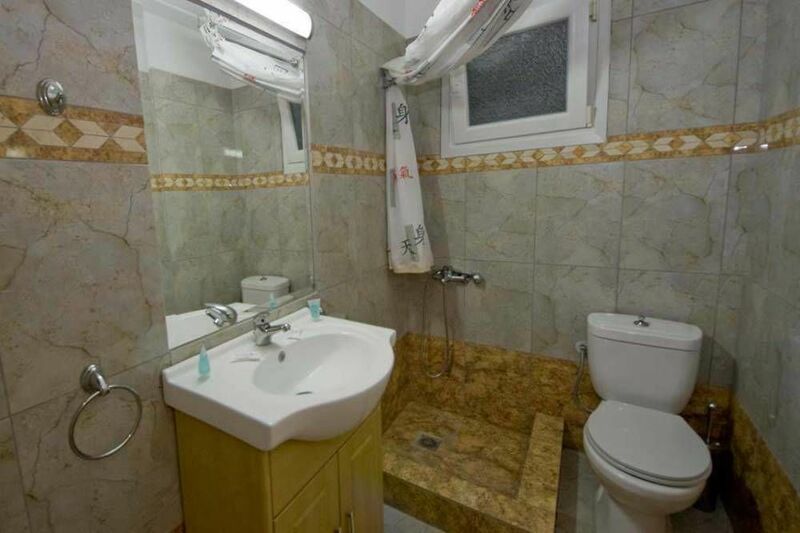 Peisaj pitoresc natural, atmosfera calma, camere in stil clasic, cu toate facilitatile, restaurant, cafenea, internet, servicii de calitate. Small hotel opposite a sandy beach. Cozy territory, bar, Internet, spacious rooms with kitchen, quality service. 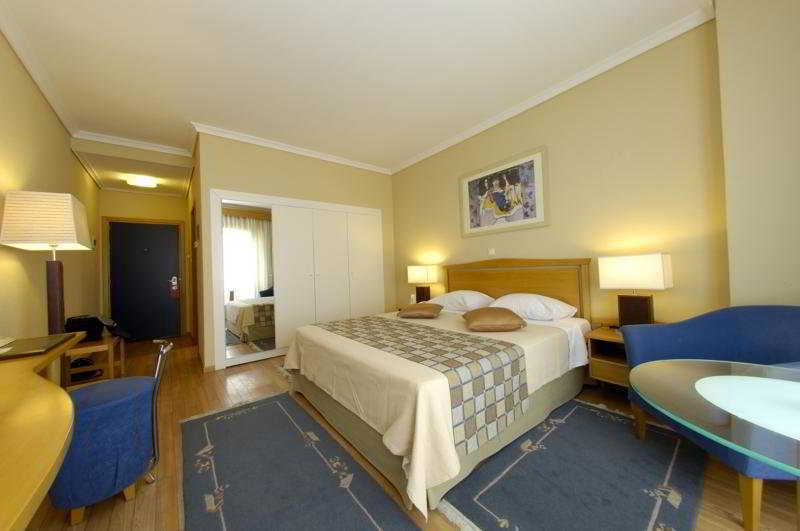 Hotel economic, modest, internet, servicii bune. The hotel Oceanis is centrally situated in the business, shopping and entertainment area of the city of Kavala, 25 minutes from Kavala Airport and in walking distance from the bus station and the port. Being situated in the heart of the city, it is ideal for your stay in Kavala while on business or for leisure, very close to the main sights of Kavala, like the Archaelogical Museum, the Old Town, etc. The bus terminal is only 150m away, the port about 1 km, the airport 29 km away from the hotel. Hotel modern, cu restaurant, bar, terasă cu piscină (în sezonul de vârf), acces internet, săli de conferințe, servicii de calitate. Spatii verzi, camere confortabile decorate intr-un stil contemporan, atmosfera relaxanta. Property Location Airotel Galaxy is in the heart of Kavala, walking distance from Archeological Museum of Kavala and Municipal Museum. This 4-star hotel is within the region of Philippi Archaeological Museum and Ancient Theater of Philippi.Rooms Make yourself at home in one of the 149 guestrooms featuring refrigerators and plasma televisions. Complimentary wireless Internet access keeps you connected, and satellite programming is available for your entertainment. Private bathrooms with bathtubs or showers feature complimentary toiletries and hair dryers. Conveniences include laptop-compatible safes and desks, and housekeeping is provided daily.Rec, Spa, Premium Amenities Take advantage of recreation opportunities including a steam room and a fitness center. This hotel also features complimentary wireless Internet access, concierge services, and babysitting/childcare.Dining Grab a bite to eat at the hotel's restaurant, where you can take in a garden view, or stay in and take advantage of room service (during limited hours). Quench your thirst with your favorite drink at a bar/lounge. A complimentary buffet breakfast is served daily.Business, Other Amenities Featured amenities include complimentary high-speed (wired) Internet access, a business center, and a 24-hour front desk. Event facilities at this hotel consist of conference space and meeting rooms. Un hotel confortabil situat în oraș. Camere spațioase si confortabile, cu toate facilitățile moderne. Restaurant, Grădină pe acoperiș cu vedere panoramică (în sezonul de vară), internet gratuit, servicii de conferințe, spa nou de lux, sală de gimnastică, piscină interioară. Ideal atât pentru turismul de relaxare, cât și pentru turismul de afaceri. Un hotel confortabil, situat in inima orasului pitoresc Kavala, nu departe de plaja de nisip municipala. O gama larga de camere, acces gratuit la internet, un restaurant, bar, room service, sali de sedinte. Potrivit pentru o vacanta pe plaja si pentru calatorii de afaceri. 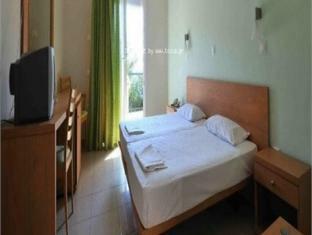 This charming hotel boasts a central location, situated in the business, shopping and entertainment district of Kavala. 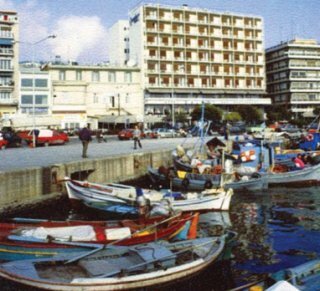 The main bus station and Kavala Port are both within striking distance, whilst Kavala Airport is 30 kilometres away. The property is a great choice for both business and leisure travellers alike. It welcomes guests with a beautiful d├⌐cor blending elegance with classical Greek elements. The well-appointed guestrooms offer spacious and luminous surroundings where to completely recharge batteries after a long journey or venture into the city. The on-site restaurant will enchant guests with Greek culinary delights and international cuisine. The rooftop bar offers visitors a selection of quality drinks and marvellous sea and city views. Conference facilities are provided and guests arriving by car may leave their vehicles in the undercover parking garage. Un mic hotel cu o zonă verde confortabilă, cu acces direct la plajă. Camere spațioase cu bucătărie, acces la internet. În apropiere există supermarket, taverne grecești, baruri. 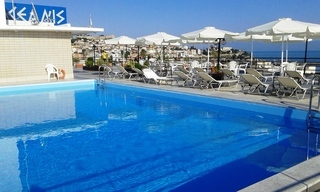 The city hotel lies at the top of a hill in the city of Kavala, and thus offers a unique view of the town and the Aegean Sea. The property combines traditional elegance with modern design and outstanding facilities and services. The rooms feature simple decoration focused on marble and wood. Each comes with an en-suite bathroom and a private balcony or terrace. 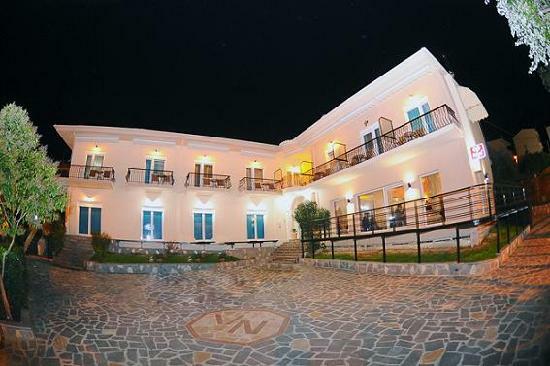 The hotel provides an essential SPA facility, which is one of the most luxurious in the area of Kavala. It allows guests to take advantage of a heated indoor swimming pool with sun loungers or indulge themselves with a pampering massage. Exquisite dishes, featuring local and international cuisine, are available at the on-site restaurant.